For over forty years, I have developed experience in communications including media, marketing, public relations, journalism, and social media. I possess a vast understanding of marketing on new and traditional levels. I am the only blogger for women over 50 who brings this depth of knowledge combined with a personal reinvention experience to the table. There are many ways we can work together.  Any brands wishing to work with the blog, should contact me at over50feeling40@gmail.com. First, I must determine the brand is a good fit for the audience which I protect in many ways. Once that is decided, then I will explain pricing on sponsored posts, product reviews, and other opportunities on social media sites. Of course, a media page may be sent upon request. I have worked with many national and international brands since the blog began; including, appearing in national campaigns. I also has worked with local campaigns in San Antonio. I have represented brands as a brand ambassador. I am one of an elite, small group of bloggers for women 50+ known to be true influencers. Those interested in working with the blog, should note I will not accept the following: blind backlink advertising or do-follow links; undisclosed paid endorsements; infographics; unpaid guest posts. I am the only writer for the blog and it is my original content and opinion. I do not publish personal reviews without testing the products. All advertising is properly disclosed as required. There are links within the blog which do generate income for me, and this is disclosed. I also charge more for giveaways since they require additional work and more posts to monitor over the time of the contest. I require the brand send the prize to the winner. Marketing through a blog is just like any traditional form of media, you must compensate the blogger for access to the audience which has been grown through diligent work. I do not believe in purchasing numbers and have not done this for any of my media. I have grown the audience with the specific target in mind. The blog exists to help them first. Many clients have returned to work with me again and again, because they receive results and success in marketing toward women 50+. Throughout my career, I have been known as an inspirational, professional, trained public speaker and I am available, particularly to speak with women’s groups and events; and business events. I am trained media spokesperson and noted as a success to represent brands with media appearances, including national brands. Whether you are planning conference speakers or in-store appearances, I am available to discuss her opportunities….including teaching and coaching public speakers. I am first and foremost a writer. As a trained journalist with a journalism degree from the University of Texas in Austin, I have many published articles, and for years been an experienced writer for public relations and advertising promotion. I also train writers and hire writers for publications. I know how to market your brand to women. This knowledge is derived from experience from past advertising campaigns; experience for eight years as a blogger to women 50+; and as editor of the top women’s magazine in a major market. I have been hired by two national brands specifically as a marketing consultant, including development of blog campaigns for this target audience. Information is available upon request. Specific, knowledgeable target marketing is key to any brand desiring to communicate to today’s woman.